When my son was in need of a therapy bike, (which was out of my price range) New Hope for Kids stepped in. They made sure to take care of us and treat us like family! 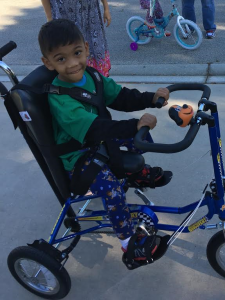 Granting his wish to give him a therapy bike and making sure it fit his body type and physical needs was amazing. Any and all questions I ever had from the beginning were always answered in a timely matter. 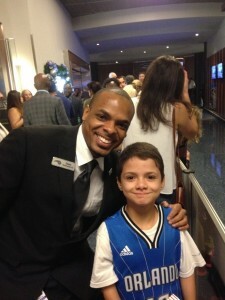 Also, they were welcoming when inviting my son and family to other events that their program is involved in! New Hope for Kids doesn’t just help lives, they improve lives! Making things that might otherwise be difficult, less stressful and even enjoyable! If it was not for this foundation, my son (after all he has been through) wouldn’t have the bike he needs to help build his physical strength and emotional/mental confidence back! Thank you New Hope for Kids for all you have done, all that you are doing, and all that you will do for kids and families in the future! 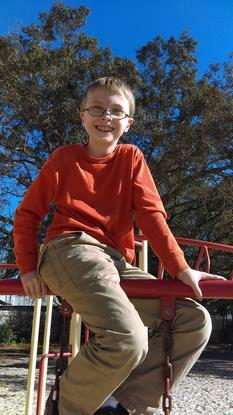 Justin is a nine year old boy that was born with a rare birth defect called craniosynostosis. In addition to pressure in the brain, this causes delays in development, abnormalities to the skull and face. Over the years he has had reconstructive surgery and continues to face medical issues. Because there is no cure and only basic treatments, Justin must take medication and work with a large number of specialists on an ongoing basis. Each of his conditions creates obstacles in day to day life. 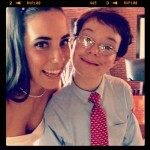 He suffers from headaches, fatigue, stomach pain, seizures and leg pain. The leg pain makes it difficult to balance and walk. It takes significant time and effort for Justin to do everyday things that are second nature to many of us. Justin’s passion is animals. He loves cuddling with them and they help him to relax. Justin’s Wish was for a service dog. The service dog was trained by 4 Paws for Ability, Inc. located in Xenia, Ohio. They trained a dog specifically to help Justin, whose seizures can be extreme. In his case, the service dog alerts his parents of seizures, provide comfort, and also help Justin relax during procedures, assist him with balance, and other necessary support. Justin has not only received a new pet but a life changing companion! Kaley recently had a very difficult surgery to lengthen her leg. Before she faced months of treatment and therapy, Kaley only asked for one thing: a Disney Dream Cruise! Her family had the best time swimming, playing games, and sightseeing. Every day was an adventure beginning with a cool and windy day and moving into sunshine and the warmth of the Bahamas. J.P. wanted to see his New York cousins and celebrate in the Big Apple! One of his favorite things to do is sightsee at the iconic Statue of Liberty, Freedom Tower and the Empire State Building! 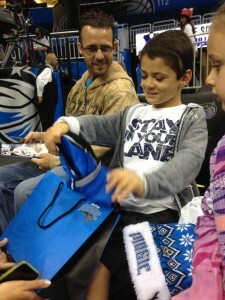 New Hope’s Wishes for Kids provided airfare, accommodations and spending money to make J.P.’s wish extraordinary! Samantha, a 12 year old with cerebral hypoplasia and ataxia, never considered the possibility that her wish might not come true. She knew she wanted to see snow, go sledding and make a snowman! 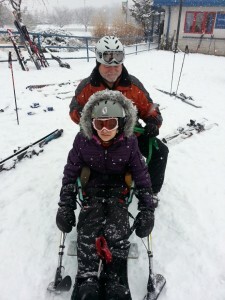 With a little help from friends at the Liberty Mountain Resort in Pennsylvania she is pictured above fulfilling her dream. What does it take to stop a dream? Is it fear of failure? Lack of self-confidence? I wish I had the courage I see demonstrated by the children and families I serve. Is it difficult for me to get going in the morning? I have a body that works, a mind that is sound (despite what friends and families might think ha ha), and resources to fulfill any dream I might pursue. What stops you from fulfilling your dreams? Let’s take a hint from Samantha, and make those changes we think about but never do. Start writing that book. Begin a new routine. Forget about TV for a while, and paint your masterpiece. Whatever is in your heart, go for it! Let me know if Samantha’s dream motivates you! I finally got around to organizing the pics and have been meaning to send this email to you since we got back. Our cruise was amazing and a blessing that refreshed and renewed us as a family. The children are still talking about their experience on the Disney Cruise and it is still unbelievable to us that we went on such a wonderful trip. We can’t thank you/New Hope enough!! Tati was able to meet other wish children, as the Wish Director on the cruise held a party for all the children in different wish programs. It was an uplifting and encouraging moment. Tati and Elijah were so funny, on the last day of the cruise they were devising ways that they could stay on the ship and asked if they could work as servers. lol! I told them they had to graduate from college first! I’m attaching a few pictures. The lady in the picture (not shown) was our Disney Wish Coordinator, Bernadette from Hungary, and she did an amazing job making sure we were enjoying ourselves and that everything was taken care of for Tati and her special needs. 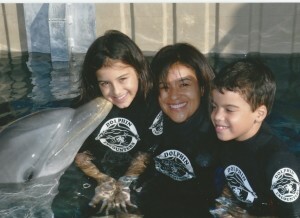 The dolphin swim was the highlight for Tati…the water was surprisingly cold. brrr! Gussie was the dolphin assigned to our group and Tati fell in love with her. This will be a memory that we will forever cherish. A blessing that gave Tati a fresh perspective on her condition and hope for the future that God will always take care of her every need. And a blessing for our family during a time of much stress in our lives–it was wonderful to forget about things and relax for a little while. Many thanks again! Jose knew exactly what to wish for. He’s only 8, but his mind was made up. He wanted to meet his favorite basketball star—Lebron James of the Miami Heat! With the help of some wonderful staff at RDV Sportsplex and our own volunteers, Michele and Steve Chamberland, his wish came true. Jose stood in awe as Lebron approached. 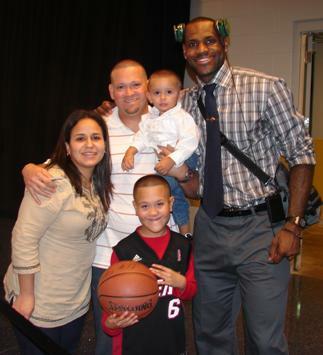 In a soft voice of admiration Jose exclaimed, “My Lebron James!” He could barely believe his eyes. In keeping with this wave of joy, UCF Cornerstone Team, aptly named “King Jose’s Court,” raised enough funds to provide box seats for another Magic Game. They also planned a party and co-hosted it with O’Charley’s Restaurant who generously donated delicious dinners for Jose and his guests. Other donors included Ernst and Young, Kohl’s and other kind members of our community. It offered Jose an opportunity to forget about his illnesses and just enjoy being a kid having fun. Jazmine is a spirited 7 year old with a rare disease called Klippel Trenaunay Syndrome. She painfully suffers through the majority of the long list of ailments caused by KTS which significantly affect her day to day activities. Jazmine has already undergone 13 different surgeries plus countless procedures and appointments. Her medical needs often require her family to travel from Lake Mary to Tampa or even as far away as New York. As you can imagine, the travel-related expenses and noncovered medical needs cause a significant financial burden for her family, not to mention the emotional roller coaster they endure. Despite all this, Jazmine, whose favorite color is pink and who wishes to go on a Disney cruise with her favorite character Hook, is an energetic, positive little girl. 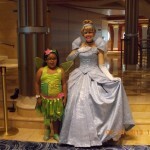 UCF Cornerstone team Jazmine’s Genies “adopted” Jazmine to help make her wish come true. They not only raised $2,025 for her cruise, they also combined another $787 plus $3,303 of in-kind donations to host the most incredible tea party in town! The Orlando Sheraton Downtown provided a dinner room and patio complete with twinkling lights for her beautifully decorated tea party, “Jazmine in Wonderland”. It was complete with a chocolate milk “tea” ceremony, scones, cakes and then a full meal. As DJ Cheyenne played music, Jazmine and her friends spontaneously began dancing and singing. It was beyond precious. Many caring people contributed to this magical evening. Delicious food came from the Sheraton, Tropical Smoothie and Tuscan Pizza, decorations and supplies from Target, a gift bag full of cruise niceties for the whole family from Wal-Mart, face painting by Clown Service, and new hairdos by Jane Ellis at Unique Hair for Mom, Jazmine and her two sisters. The team even provided a date night gift card for mom and dad! At the conclusion of their class assignment, Jazmine’s Genies shared, “The most meaningful part of the project was feeling the love and appreciation from the Gonzales family.” Now they have everything they need for a fun time on ship Disney Dream! accurately call her handicapped. 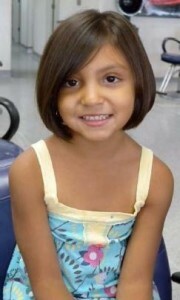 Jeanmarie’s wish was to go to the Maile School for Acting and Modeling. Her goal is to be in a real commercial and she had her first “shoot” this summer. Now she’s ready for T.V.! 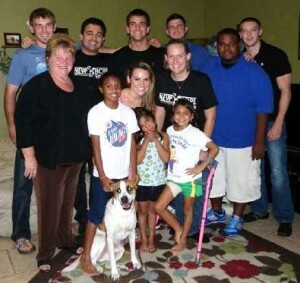 UCF Cornerstone Team “Living the Dream” chose to help with Jeanmarie’s wish. They raised $1,142 and planned a fun party at Chuck E Cheese where everyone had a grand time enjoying cake, pizza and games. come back as his special guest for the April 4th game!